Workplace discrimination can take many different forms which is why attorneys such as Ty Hyderally spend their time educating both employees and employers about their rights and responsibilities. The hope is that discriminatory actions can be non-existent in the workplace. When employers or employees do not abide by guidelines as they are set forth in Title VII of the Civil Rights Act of 1964, then Mr. Hyderally litigates on behalf of those whose rights were violated. One of the latest changes to laws which prohibit discrimination has been the addition of pregnancy. Just last year the United States Supreme Court’s ruling in Thompson v. North American Stainless set the precedent for cases where discriminatory actions were followed by retaliation. This case was used to help decide the case against the Oklahoma based childcare company, Kids R Us. Shawna Capps began working for Kids R Us in July of 2009. In March of 2010 she informed the company’s owners that she was pregnant. Later that same month, the owners of the company had a meeting in which Capps was informed that they were hiring another administrator at the facility and that show would be demoted from the assistant facility director which was a full time position, to a cook position which was only part time. They cited the reason as Capps had “decided to get pregnant.” In response, Capps files a discrimination complaint with the EEOC. Capps had two relatives who worked at the same facility and they protested the owner’s actions and stated them as discriminatory. Right after Ms. Capps filed the suit with the EEOC, the company transferred Ms. Capps to another facility which was located further from her home which in effect forced her resignation. Immediately following this, the company terminated both of her relatives without explanation according to the EEOC’s report. The Pregnancy Discrimination Act amended Title VII of the Civil Rights Act of 1964 so that pregnancy discrimination is punished along with other types of discriminatory actions. The EEOC filed suit and asked for compensatory and punitive damages, back pay and front pay for all three victims. The case was heard in a federal court in Oklahoma. Recently, this case reached a settlement. The child care company must provide its employees training concerning anti-discrimination and revise its current policies with regard to discrimination in the workplace. Kids R Us also agreed to a monetary payment of $75,000 to the victims. Employee law includes protection against pregnancy discrimination as well as wrongful retaliation such as we see in cases like this. Hopefully, these types of decisions will continue to ensure that employers will be held accountable for discriminatory and retaliatory conduct such as was displayed in this case. Employees should not be concerned about the possibility of being discriminated against in the workplace simply because they became pregnant. It is also a reminder that retaliatory actions which are in response to reported discrimination also bear a penalty. 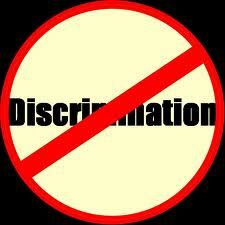 The EEOC is the agency which is responsible for enforcing federal employment discrimination laws. 4. A confidentiality agreement, whereby the physician will not use or disclose proprietary information of the practice (e.g., patient lists). In The Community Hospital Group, Inc. t/a JFK Medical Center v. Jay More, 183 N.J. 36 (2005), and its companion case, Pierson v. Medical Health Centers, P.A., 183 N.J. 65 (2005), The New Jersey Supreme Court recently upheld a long-standing ruling, that restrictive covenants for physicians can be valid if they are reasonable. (see, Karlin v. Weinberg, 77 N.J. 408, 1978). Although post-employment restrictive covenants are not viewed with favor, if under the circumstances a factual determination is made that the covenant protects the legitimate interests of the hospital, imposes no undue hardship on the physician and is not injurious to the public, it may be enforced as written or, if appropriate, as reduced in scope. 3. The covenant must not be harmful to the public. f. The effect that enforcement of the covenant would have on the public interest. 1. The hospital had been working to develop a broad clinical neurological program and had devoted about $14 million to this since 1992, including $200,000 on advertising and promotion each year. 2. Dr. More, a neurosurgeon, was hired immediately after completing his residency, having no patient base or practice prior to his employment with the hospital. He built his base during eight years at the hospital, and then decided to leave and compete with the hospital. 3. Dr. More was a specialist, a neurosurgeon, and it was shown that patients regularly travel over 30 miles to seek specialized care; New Jersey is a state with great mobility and 17% of the hospital’s patients live more than 30 miles away from the hospital. If a departing employee violates a restrictive covenant agreement, you should consult with counsel, to discuss the next step to protect the company. These measures generally take the form of applications for emergent relief which must be filed in a timely manner. Thus, your consultation with counsel should occur in a timely fashion. If you are a department employee who signed a restrictive covenant, you should consult with counsel – prior to giving any notice to the practice group that you are considering leaving. “Covenants restricting . . . a physician, from competing with a former employer or associate are common and generally acceptable (see, e.g., Karpinski v. Ingrasci, 28 NY2d 45, 47-49; see generally, Validity and Construction of Contractual Restrictions on Right of Medical Practitioner to Practice, Incident to Partnership Agreement, Ann., 62 ALR3d, 970). As with all restrictive covenants, if they are reasonable as to time and area, necessary to protect legitimate interests, not harmful to the public, and not unduly burdensome, they will be enforced (see, Reed, Roberts Assoc. v. Strauman, 40 NY2d 303, 307 mot for rearg den 40 NY2d 918; Karpinski v. Ingrasci, 28 NY2d 45, 49-51, supra)” (Gelder Med. Group, 177 AD2d 623). In Gelder Med. Group, supra, the court found that a restrictive covenant barring the physician from practicing within 30 miles of a rural village, for a period of five years, was reasonable; this was enforceable even though, unlike in the New Jersey case, the physician was expelled from the practice without cause. Gelder Med. Group, 177 AD2d 623 (N.Y. 1977). In this case, the court took into consideration that: (1) the doctor did not allege that the practice sought to enforce the provision in bad faith, (2) the practice had been developed over twenty years at great cost, (3) the doctor had no roots in the area, and had had affiliations with other practices in several other areas, and (4) enforcing the covenant would not harm the public interest, as there were other physicians available to serve the public need. As noted above, an agreement which is too restrictive can be revised by the Court, which will amend one or more terms. This is known as “blue-pencilling.” This technique is used by both New Jersey and New York courts, which will modify agreements as necessary. A restrictive covenant which is too stringent can be relaxed, so that overall the agreement is reasonable. (see, e.g., Muller v. N.Y. Heart Center, 238 A.D.2d 776, 3rd Dept. 1997). This blog post a is a Tayeb Hyderally production.